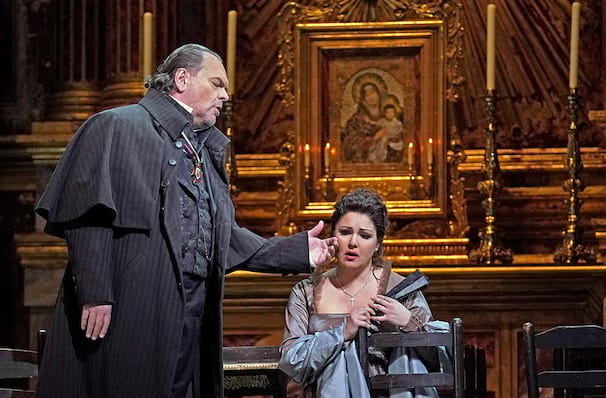 Why See Metropolitan Opera: Tosca? Undoubtedly the most highly regarded and beloved works in the canon, Puccini's tragic tale of revenge and murder is renewed by the Met this season with this brand new production from Sir David McVicar. Sharing the role of the sought after Primadonna will be Sondra Radvanovsky and rising star Jennifer Rowley. Sit back and be transported back Rome on the edge of invasion in this marvelous melodrama. As perfect for first timers as it is for seasoned audiences. Under the cloud of rebellion on all sides, Rome is in the middle of a tumultuous change as the Royalist regime is winning over the Republic. Whilst the merciless Baron Scarpia is rounding up rebels and jailing them, Tosca rehearses in a church before meeting her fugitive lover Cavaradossi. When the embittered Baron catches up with him he falls for Tosca, much to her anger, and tortures her lover in front of him. If she yields to him, she is promised his life under the guise of a false execution. But Scarpia's meanness knows no bounds and before the day is out, all life will be extinguished. Sound good to you? 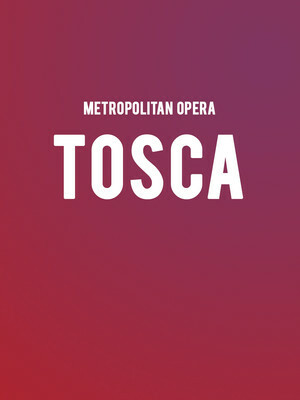 Share this page on social media and let your friends know about Metropolitan Opera: Tosca at Metropolitan Opera House.